In July 2015, the Center for Medical Progress released a string of videos that essentially cast Planned Parenthood as a front for a satanic cult that offers abortion care in order to achieve its real goal: harvesting dead-baby body parts for money. Over glasses of wine in restaurants, in beige-walled workplaces and generic hotel ballrooms, CMP “investigators,” posing as buyers from a fake company called BioMax Procurement Services, secretly recorded discussions with Planned Parenthood doctors and directors about the alleged sale of fetal tissue. The outcry triggered by this footage quickly escalated into right-wing hysteria over baby-part sales, gruesome dissections, and feticide. Committees were formed, investigations were launched, and abortion opponents riled themselves up in righteous outrage over Planned Parenthood’s pink-coated brand of evil that offers fetuses up to ritual sacrifice and profits in the process. Opponents riled themselves up in righteous outrage over Planned Parenthood’s pink-coated brand of evil. This outrage was sparked by lies and stoked by misinformation. The videos were heavily edited to reflect the narrative that CMP founder David Daleiden and his pro-life supporters wanted to be true. Planned Parenthood representatives were discussing the fully legal and defensible practice of offering patients the ability to donate fetal tissue for critical medical research. However, despite the fact that not one of the 17 subsequent investigations into the allegations yielded any evidence of wrongdoing, and that a grand jury in Texas indicted Daleiden and CMP employee Sandra Merritt for tampering with governmental records, the videos continue to cause harm. They gave right-wing groups and lawmakers the moral ammunition they needed to open a new front in the attack on abortion—fetal-remains legislation. In 2016 alone, 28 states have introduced legislation relating to the disposition of fetal remains. Nine of these bills have passed; of these nine, five are in effect and four are being legally challenged. States are also using administrative bodies, like their departments of health, to lay down additional and unnecessary regulations surrounding what happens to fetal tissue. These mandates fall into two main categories. The first restricts the donation of fetal tissue for research and experimentation, a practice that has contributed to lifesaving advances in scientific and medical research since the 1930s, and bans its sale—an unnecessary provision, since the sale of fetal tissue is already a federal crime. Today these bans may affect research into treatment for Ebola, HIV, and Alzheimer’s. The second type of regulation governs how abortion providers dispose of aborted tissue that is unsuited to medical research. Clinics generally treat aborted tissue like other human tissue by contracting with medical-waste companies that dispose of it in a safe and sanitary way. Now states including Indiana, Texas, Louisiana, and Ohio have gained ground with requirements that all aborted tissue be buried or cremated, so that “unborn infants” are afforded the same respect and dignity as human beings. These politicians want funerals for fetuses. 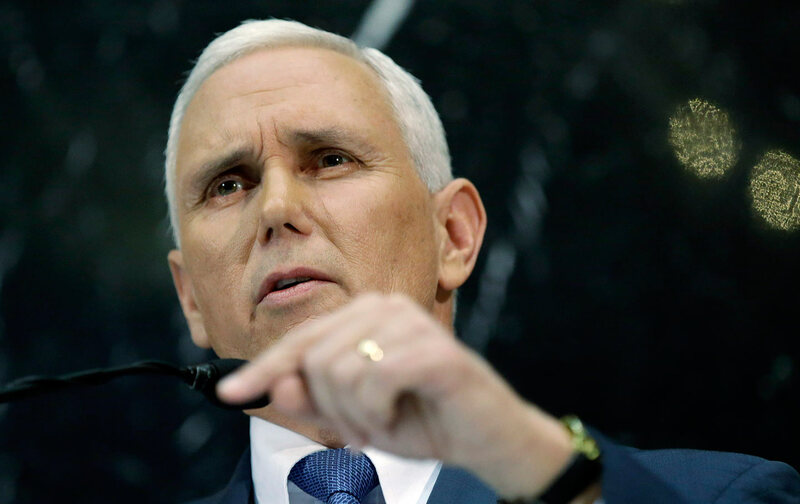 Indiana Governor Mike Pence signed House Enrolled Act 1337 into law on March 24, 2016, a hulking piece of “kitchen sink” legislation that the National Network of Abortion Funds called “one of the most vicious omnibus anti-abortion bills the United States has ever seen.” Among its 31 draconian provisions is a requirement that miscarried and aborted fetuses must be buried or cremated. Dalven and the ACLU of Indiana, along with Planned Parenthood of Indiana and Kentucky, filed a lawsuit against the state to prevent HEA 1337 from going into effect on July 1. On June 30, a federal judge blocked the law by granting a preliminary injunction while the lawsuit moves forward. In 2016 alone, 28 states have introduced legislation relating to the disposition of fetal remains. Ohio is another battleground state where lawmakers have fashioned scandals out of thin air. Ohio was one of the dozen states that undertook an investigation into Planned Parenthood in the wake of the CMP videos. Following a fruitless five-month investigation, Ohio Attorney General Mike DeWine found no evidence of malfeasance, but was appalled to learn that the process for medical-waste disposal involved the use of an autoclave, which kills bacteria using steam, and then burial in a sanitary landfill. Beyond fatuous concern over treating fetal tissue like vegetables, Ohio Republican Senator Bill Coley also worried about falling into disrepute with archaeologists of the future. “I don’t want it to be where in like South America or some areas in the world and they find that babies were sacrificed or were thrown out with the garbage and things like that,” Coley said. To that end, the Ohio legislature proposed companion bills—SB 254 and HB 417—that redefine the “humane” disposition of fetal remains to mean burial or cremation. Women would be required to determine the mode of disposition in writing or sign that “right” away to the clinic, and abortion facilities would be required to pay the costs. Violators of these provisions would be guilty of a first-degree misdemeanor. Most of the states circulating fetal-remains mandates have gone the legislative route, but Texas pursued a stealthier approach. Four days after the Supreme Court ruled on Whole Woman’s Health v. Hellerstedt, Texas’s Department of State Health Services (DSHS) quietly proposed new rules that would prohibit abortion providers from disposing of fetal remains in sanitary landfills and require burial and cremation. The DSHS did not adhere to the regular process for writing new regulations or make a formal announcement about its actions. Instead, it published the rules directly in the Texas Register, initiating the 30-day period for public comment, on the Friday before the long Fourth of July weekend. Today these bans may affect research into treatment for Ebola, HIV and Alzheimer’s. The notion of trying to regulate fetal-tissue disposal has floated around the periphery of the anti-abortion movement for decades, burbling up at politically opportune moments before fading once again into the background. In 2012, Michigan passed HB 5711, which mandated the burial or cremation of aborted tissue, but since 2010 abortion opponents have largely funneled their energy toward incrementally regulating clinics out of existence. Many of these Targeted Regulation of Abortion Providers (TRAP) laws, such as ambulatory surgical center and admitting-privilege requirements, swept from state to state like an epidemic. This was not an accident. It was the work of Americans United For Life, an anti-abortion organization that provides a “Pro-Life Playbook” by writing model legislation and distributing it to conservative lawmakers. These politicians modify the boilerplates—sometimes significantly, other times barely at all—for introduction into their own legislatures. AUL claims responsibility for one-third of all “life-affirming measures” enacted since 2011—measures that were dealt a lethal blow by the Supreme Court’s decision that TRAP laws impose an undue burden on women seeking abortion and therefore violate the Constitution. The release of the doctored Planned Parenthood videos from the Center for Medical Progress brought the question of what happens to fetal tissue into the spotlight once again. According to a report from the Guttmacher Institute, “the fallout from the videos has been swift, severe and wide-ranging.” At a pro-life conference in San Diego last year, Daleiden referred to disposal as abortion clinics’ Achilles’ heel—a weak link that could be exploited to create bottlenecks and shut down access. In December 2015, five months after CMP released its first video, AUL unveiled the Unborn Infants Dignity Act, which “requires that regardless of the circumstances of their demise, every deceased unborn infant is treated with dignity and respect and that the bodies of aborted infants cannot be sold.” Most of the 28 fetal remains bills introduced in 2016 are modeled on this template (or parts of it), if not baldly copy-and-pasted. Alabama, Idaho, Mississippi, and South Carolina all kept AUL’s title intact. The issue of personhood has broiled at the center of debate for as long as the anti-abortion movement has existed. To its disciples, life begins at conception; ergo, abortion is murder. Establish that a fetus is a person, or afford it the same rights as a person, and you are one thrust away from dismantling access to abortion. However efforts to pass personhood laws, which not only criminalize abortion but also ban many forms of contraception, have collapsed time and time again. These measures have even failed to pass in deep-red states like North Dakota and Mississippi, but the CMP videos cultivated the political interest needed to open this conversation again. This cultural war is pernicious. Centering the discussion on the fetus rather than the woman obscures the real issue at stake—a woman’s constitutional right to access abortion and determine what happens to her body. It also vilifies the women who assert this right, as well as the care providers. Some TRAP laws at least purport to be about protecting women’s health and safety. But one of the problems with picking and choosing pieces of boilerplate legislation crafted by organizations like the Americans United For Life is that the resulting laws tend to contain impossible medical instructions and grotesque contradictions. These laws are certainly attempts to shame and stigmatize women who have decided to have abortions. For example, fetal-remains legislation would affect not only women seeking abortion care but also women who miscarry. If the legislation does not distinguish between aborted tissue and miscarried tissue, then disposal regulations could end up causing additional distress to women who have experienced a miscarriage. While some women who miscarry want the option to have a funeral, forcing them to decide what happens to the remains could make worse an already painful experience. However, if states have different sets of regulations for aborted tissue and for miscarried tissue (as in the Ohio bill), that too is problematic. It undermines the whole argument of “fetal dignity” and shows that this legislation has everything to do with punishing women, and nothing to do with respect or the sanctity of life. Creating a hierarchized taxonomy of tissue is a slippery slope. What’s next—funerals for menstrual periods? Furthermore, these proposals create a swirling gray area for women who miscarry or abort at home. Are they supposed to collect the tissue in a Mason jar and bring it to a hospital or funeral home? This is not a reasonable expectation, which means the termination event itself must happen in a clinic, rendering medication abortion—which accounts for around 40 percent of abortions up to nine weeks and one-in-four non-hospital abortions overall in the United States—unusable. “Some of these bills effectively ban all medication abortion because there is no way for the doctor providing the abortion to ensure burial or cremation,” said Crepps of the CRR. This last challenge points to the true purpose of this legislation, which is to make abortion as difficult for the woman as possible. One of the reasons TRAP laws that required hospital-admitting privileges met with such “success” is that clinics struggled to find physicians or hospitals who agreed to make this arrangement. This type of restriction forced around half of Texas’s abortion clinics to close in a matter of years. In theory, the same problem could arise if abortion clinics were forced to contract with funeral directors. Logistics are another issue. Dr. Tanya Marsh, a professor at Wake Forest Law School, said that the funeral industry is not set up to deal with remains this small. For one thing, neither caskets nor cemetery plots are designed to handle something the size of a prune. Americans United For Life provides a “Pro-Life Playbook” by writing model legislation for conservative lawmakers. And then there is the added expense. According to the letter from the Funeral Consumers Alliance of Texas, the average basic fee for a funeral establishment to charge for “professional services” is $2,000. Many clinics are already operating on razor-thin budgets, which means they would likely have to pass some of those costs on to the patient. For many women, the cost of abortion services is already prohibitively high, especially in states with just a few, scattered clinics and mandatory waiting periods. Privacy is yet another concern. For fetal remains, or any remains, to be buried or cremated requires a death certificate, which can be a matter of public record.